The rebooted Twilight Zone got a teaser trailer during the Super Bowl, and it started off perfectly: it didn’t appear as an advert. 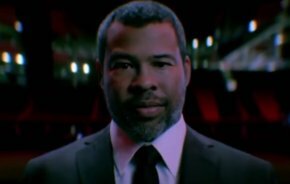 Instead what looked like the actual game broadcast glitched and appeared to go off air, before showrunner Jordan Peele is seen walking around the same stadium viewers had just seen with the game. It got even stranger from there. This one minute of footage, which has no relation to any actual episode, is so on the money they seem to be rebooting perfectly.